Browse: Home » 2007 » October » Blue Angels in town! 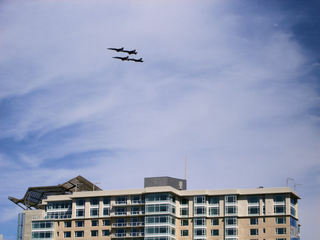 The Blue Angels are in town for the weekend, and they keep flying overhead practicing. Pretty cool!